You can find a luxurious home theater system in Monaco! 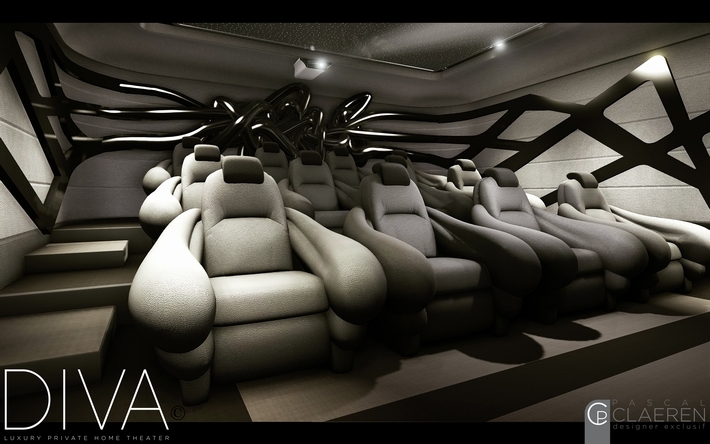 Visit Diva’s showroom to be absolutely impressed by sound, images and art. The person next to me who seems to be a prince is Mr. Thomas Claeren, the son of Mr. Pascal Claeren, co-founder and head of Design of DIVA. Despite our sudden visit, he gladly guided us, who were coming all the way from Japan. 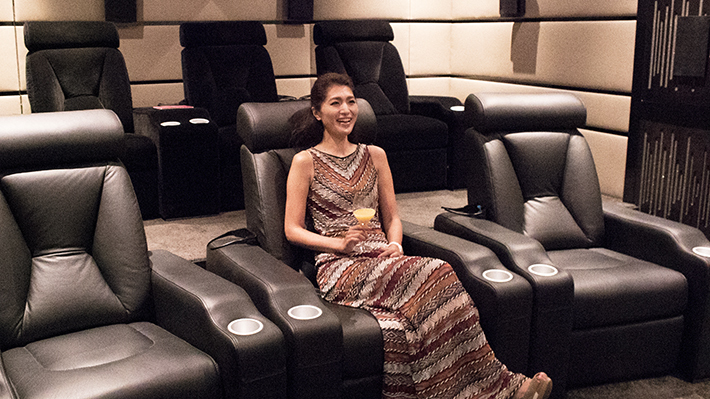 “We offer the Ultimate Private Cinema experience to our clients. Why? All of our home theaters are custom made, tailored to each individual client on demand, equipped with the greatest audiovisual technologies. Patrick Zucchetta, co-founder of DIVA, equipped more than 55.000 commercial theaters all around the globe and he decided to offer the most amazing technologies coming from the Cinema industry to the most prestigious private clientele. My father, as a French designer and artist, integrates all those technologies into wonderful interiors, imagined specifically for each client. 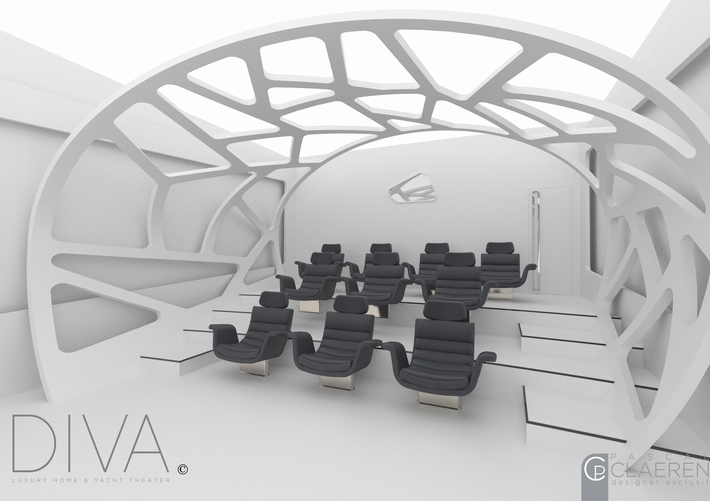 Usually, having the best of technology combined with outstanding interior design is impossible in a Private Cinema, but with DIVA this dream becomes a reality.” says Mr. Claeren. On top of integrating the best worldwide technologies, each home or yacht theater is designed from scratch to perfectly match the client’s needs and wishes. DIVA’s beautiful creations and amazing realizations have already attracted clients from Monte Carlo, Dubai, Saudi Arabia, India and other countries. These home theaters can be built in various environments such as homes, yachts and luxury hotel rooms. I immediately tried out Mr. Thomas Claeren’s vaunted home theater system. I was thrilled by this private cinema demonstration, exclaiming, “Amazing! 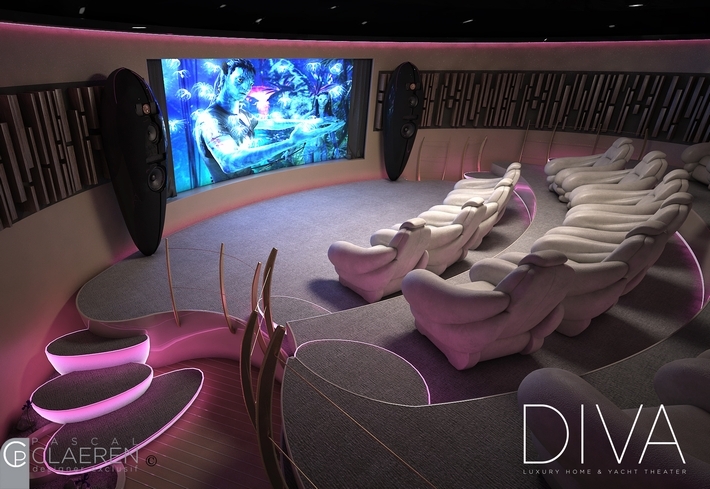 This one-of-a-kind home theater is precisely as beautiful as the “DIVA” name. Please have a look at this exciting concept, with unique design on their website and Facebook page.